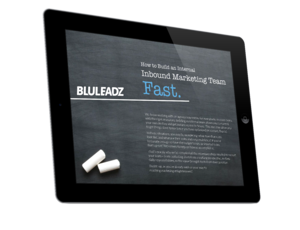 Twitter can be a powerful tool in your inbound marketing arsenal. Strategic tweets can help you to generate leads, drive traffic, solidify your brand and build relationships and connections with prospects. The problem is, if you don't have followers, you won't reap the benefits. Having an active and engaged following on Twitter isn't about prestige. Twitter offers real value for businesses. In fact, 36% of marketers who use Twitter reported that they've gained at least one customer as a result of posting on Twitter. While Twitter does offer paid ads and other paid options for growing your followers, the cost of the following tips is little more than some dedicated time! 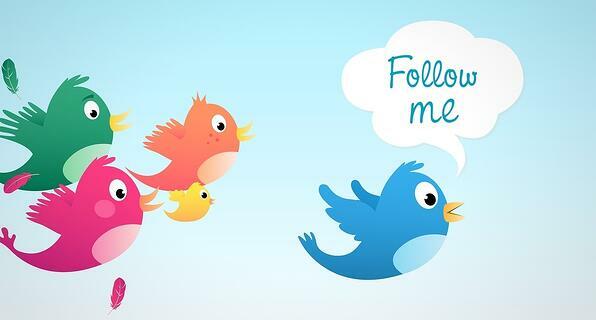 Follow More People! - Research has shown a correlation between the number of people you follow and the number of followers you have. Use Community Building Tools – Use tools like Hootsuite to schedule your tweets. Regular postings can increase engagement and visibility increasing followers. Optimize Your Bio – Users who want to know more about you will visit your bio. Make sure it's professional and represents you and your business accurately. Use Links in Your Tweets – Tweets with links get read more often, and receive more retweets! Use Relevant Keywords – Especially in your bio. Make sure to add your location to attract local followers. Use Relevant Hashtags – Hashtags get twice the engagement as posts without them. They can help you gain followers, and using searchable hashtags can get your tweets found online. Ask for Retweets! - Include “please retweet” in the body. You'll enjoy 4X more engagement! Upload Your Email Contacts to Twitter – This can help you find friends and colleagues and you're more likely to get followed back by people you know. Use Images – Research shows that tweets with images generate 18% more engagement than those without. Promote, Promote, Promote! - Make sure all of your marketing materials, business cards, social media accounts, letterhead, blog,website, etc, include your Twitter account info! Put a Face to The Name – Use a headshot in your bio. Putting a face to the name makes it more “human” and increases followers. Use The Tweet This Wordpress Plugin - This plugin adds a content box on your blog and allows users to tweet directly from your blog posts increasing traffic and followers. Tweet on the Weekend – Research indicates that brands get 17% more engagement on the weekends than during the week. Reference Followers in Your Tweets – Using the @name in your tweets increases engagement. Include a Follow Button – Especially on your website and blog Make it easy for readers interested in your content to find and follow you. Tweet Inspirational Quotes – These get retweeted... a lot! Include Your Twitter Info in Guest Blog Posts – Always include a link to your Twitter @username in the author bio of any guest blog posts. Listen to Relevant Conversations – Use a tool like Social Mention to track mentions of your industry, brand or company. Engage with users where appropriate. Participate in Twitter Chats – Chats are an excellent way to engage with customers and prospects. Follow users you meet in chats and invite them to follow you back! Ask Email Subscribers to Follow You on Twitter – Let them know about discussions, topics or chats they'll find if they follow you on Twitter. Help Others Rather Than Pushing Your Agenda – Content marketing is about sharing information and building trust. Don't sell, share! Your followers will grow organically if your provide value. Use Twitter Search – Find users who share your interests with Twitter search, follow them, engage with their content and ask them to follow you back. Tweet Your Info Multiple Times – The average lifespan of a tweet is 18 minutes! Tweet several times each day to increase visibility. Always Reply To Questions! - Answer in a timely manner. It's not only good etiquette, it shows that you are paying attention and that you care. Post Engaging, Informative Content! - This is the most important tip! Nobody cares what you had for lunch, post information that can inform, educate or entertain your followers and you'll grow your community!! Use these 25 tips to help grow your community of followers on Twitter. Twitter is a great resource if you know how to offer value. These tips can help you to get started! 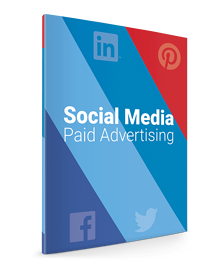 Reach An Even Bigger Audience With Social Advertising!